Tennessee has been a popular destination for small town country singers with big dreams for several decades, but there is more to the state than Nashville’s bright city lights. Tennessee has become a top tourism state for its natural beauty and rich history as well. Home to some of the most breathtaking ranges in the smoky mountains, Tennessee has so much to offer, and the best time of the year for you to travel in your travel trailer rental to Tennessee is in the late summer, when the temperatures have cooled. Major cities include: Nashville, Memphis, Knoxville, Chattanooga, and Gatlinburg. All of these cities are great options for an RV rental Tennessee! Graceland is one of the most popular tourist destinations in the country. Graceland is the home of the late music icon Elvis Presley, a mecca for his fans. Visitors can take time to roam the rooms filled with the memory of this legend, while learning facts about his life and music. Be sure to visit the garden memorial erected after his death to truly see the devotion of the King’s fans. 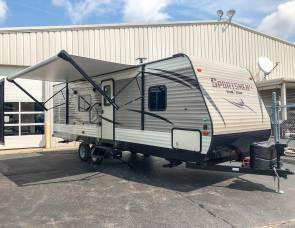 RV vacationers in their camper rentals in Tennessee have several RV campsite options nearby, but due to the high volume of visitors year round, it is best to make a reservation for your campsite in advance. Point the direction of you RV rental in Tennessee to Chattanooga and be amazed by the highest underground waterfall in the country, the Ruby Falls. This natural phenomenon has been a tourist favorite since its discovery over eighty years ago. Like a secret grotto buried beneath Lookout Mountain, the Falls land in a circular pool, several feet deep, yet clear enough to see to the bottom. Ruby Falls offer lantern tours, zip lining tours, and other special events. Chattanooga offers several ticket packages for Ruby Falls and other special attractions in the area. Rock City visitors come for the fantastic vista. On a clear day, the view stretches as far as seven states. A long rock trail is the main feature of Rock City, lined with fantastical rock formations which lead to the Lover’s Leap, the Cliffside viewpoint of this natural attraction. Aside from the gigantic rock formations, Rock City also features gardens with over 400 native plant species, magical caverns, and the Mother Goose Village. There are several events and shows scheduled throughout the year, which you might want to check out too. Rock City is just a few minutes away from the downtown area of Chattanooga. Drive your RV rental in Tennessee to Manchester and camp at the Manchester KOA. This RV Park is a perfect home base if you want to explore the Old Stone Fort State Archaeological Park, May Prairie Natural Area, and the Arrowheads/Aerospace Museum. It has 37 available full hookup sites with tables, fire rings, and room for slideouts. Facilities and amenities include wi-fi internet access, swimming pool, whirlpool, playground, exercise room, outdoor games, fishing, horseshoes, pavilion, pond, nature trails, cable TV, groceries, fishing supplies, RV supplies, restrooms and showers, laundry facility, and self-service RV wash for your camper rental Tennessee. Enjoy a stay at the Manchester KOA at any time of the year. 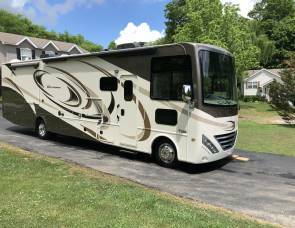 Enjoy a scenic drive in your RV rental in Tennessee to Nashville and stay at the Nashville Shores RV Park, a family friendly RV Park packed with a lot of recreational facilities and amenities. Nestles in a wooded 385-acre property with more than two miles of shoreline, this RV Park will make you feel like you are in an exclusive first class resort. 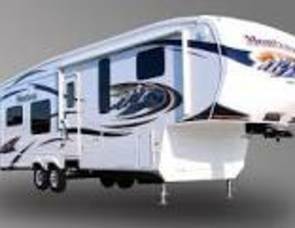 It has 84 available full hookup sites with patios, tables, fire rings, and room for slideouts during a motorhome rental Tennessee. Facilities and amenities include water activities at Percy Priest Lake, a dog park, horseshoes, volleyball, basketball, shuffleboard, nature trails, game room, Frisbee golf, boat marina, snack bar, fishing guides, restrooms and showers, and a laundry facility for your travel trailer rental Tennessee. The best thing about staying in the Nashville Shores RV Park is that it provides its guests with exclusive discounts to the Nashville Shores Waterpark, located right in the area! 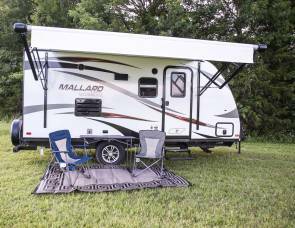 Steer your RV rental in Tennessee to Knoxville and spend a few days at the Volunteer Park Family Campground, a family-oriented owner operated campground. Located just a few minutes away from the downtown area of Knoxville, this campground is an ideal home base if you want to explore the city of Knoxville and its surrounding areas. It has 100 available spaces, 82 of which are full hookup sites with tables, fire rings, patios, and room for slideouts. Facilities and amenities include cable TV, wifi-internet access, swimming pool, wading pool, playground, nature trails horseshoes, recreational hall, groceries, snack bar, RV storage and supplies, restrooms and showers, staffed or self-service RV wash, and laundry facility for your trailer rental Tennessee. Enjoy spending quality time with the family at Volunteer Park Family Campground. Bring your family and friends to downtown Smithville and enjoy the Smithville Fiddlers’ Jamboree and Crafts Festival! The festival began in 1971, and held annually on the Friday and Saturday nearest the 4th of July. It is a 4-day festival, which features over 35 music and dance categories competitions, free shows, arts & crafts booths selling unique and handcrafted items, food stalls, and numerous activities for the entire family! Join thousands of music lovers from all over the country at the Smithville Fiddlers’ Jamboree and Crafts Festival. A large music and arts festival held at the Grace Stage Park in Manchester every June, the Bonnaroo Music & Arts Festival is a 4-day event that draws in thousands of visitors to the city. The word “Bonnaroo “means having a good time and this is what you will get! The fun begins around noontime lasts until 4 am or later the next day. Its main attractions include multiple stages of live music featuring a diverse array of musical styles, a comedy tent, craftsmen and artisans selling unique products, silent disco, food and drinks, Ferris wheel, and a cinema tent. Groove with your favorite music genre at the Bonnaroo Music & Arts Festival! If you love having a great time, you must visit Tennessee soon. 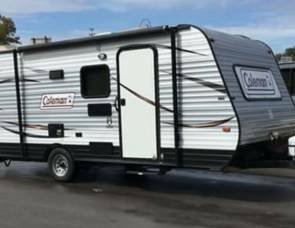 Rent an RV at RVshare and sing all the way to Tennessee! 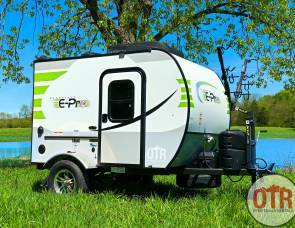 Thank you for choosing RVshare for your Tennessee RV rental!